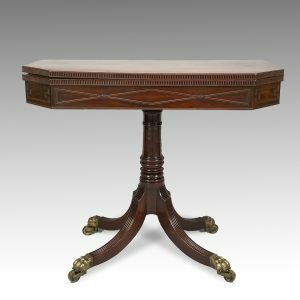 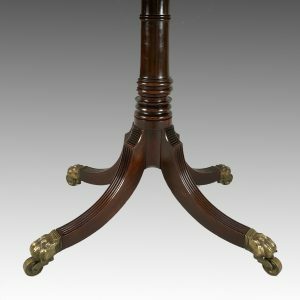 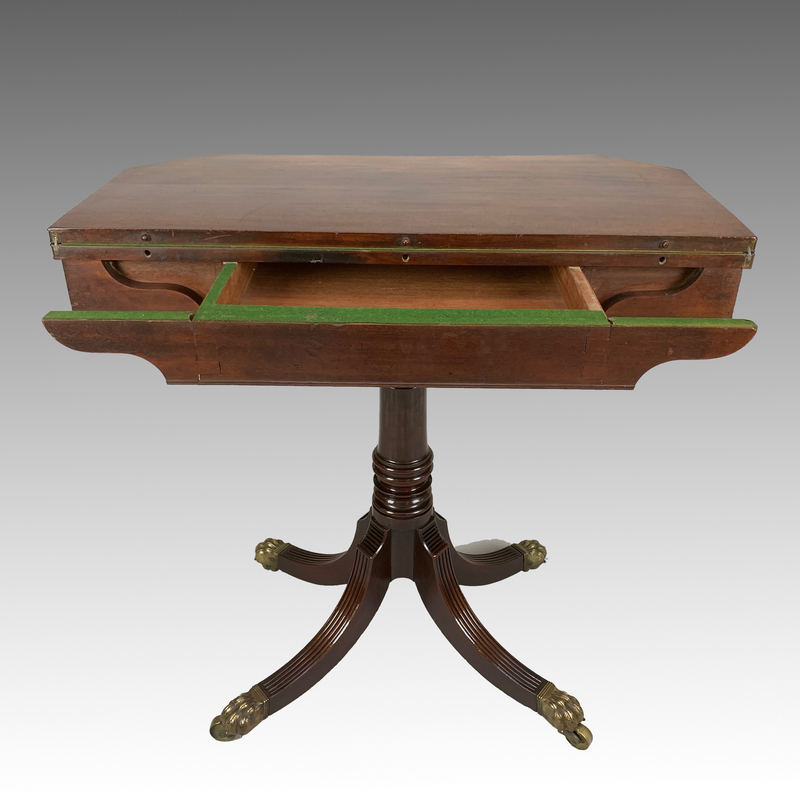 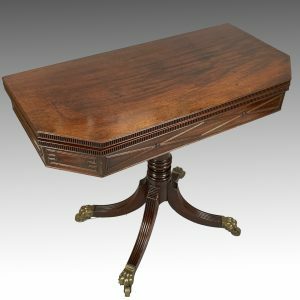 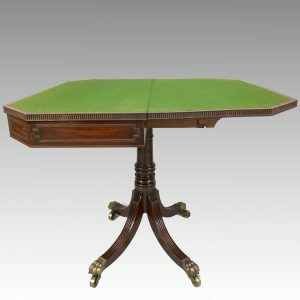 A George IV mahogany pedestal card table with fine patination. 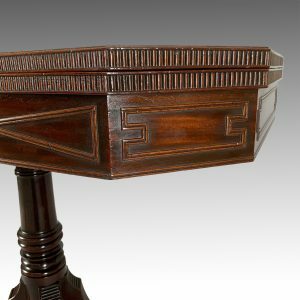 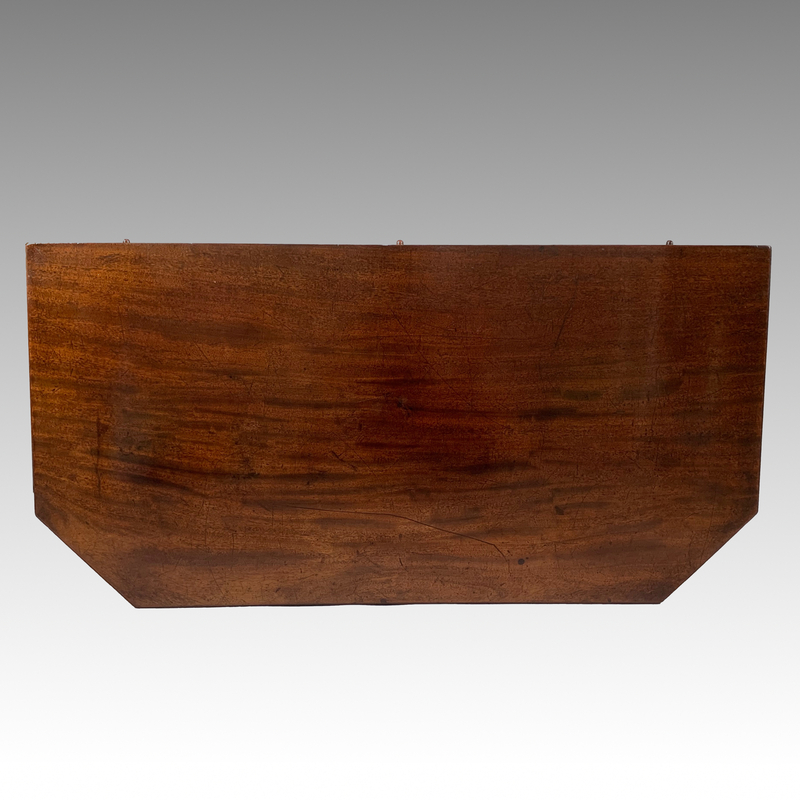 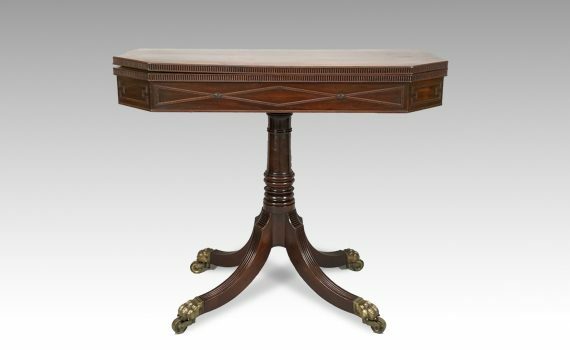 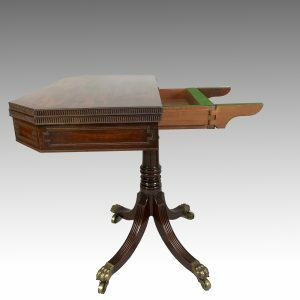 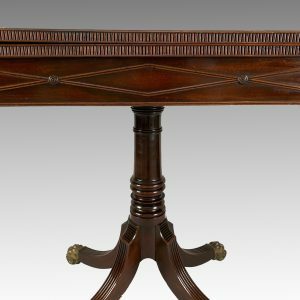 The rectangular top with canted front corners, having a fine fluted frieze to the top edges, opening to reveal a baize lined interior, supported by a turned column with four sabre legs ending in original cast brass paw feet and castors. 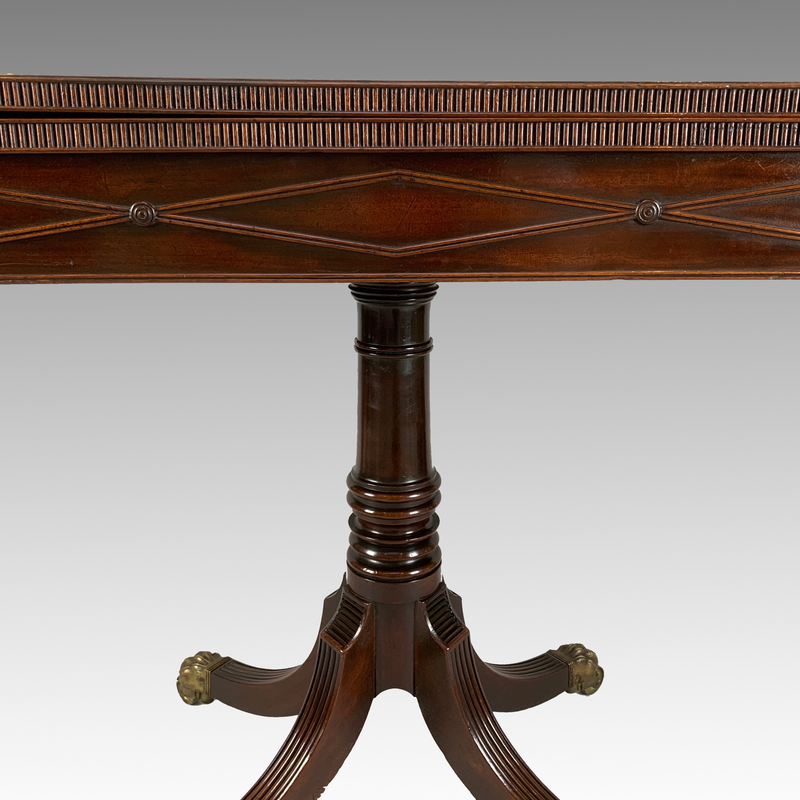 The top pulling forward to reveal a compartment to the rear, with two lopers swinging out to support the top when open, leaving the column to the centre of the table.